How this vision is born? For some years my husband Carlos and I visited different rehabilitation centers in order to make Christ known, give counseling and support women and men in their rehabilitation process. During our visits to some centers, we realized that the places were over populated. They were very small places for the number of people they had. They were not places exclusively for a gender, but there were men and women together, and although it was said that they were Christian places, we realized that it was not so. The saddest thing for me was to see in one occasion the space that had 6 women in a yard about 6 meters wide by 15 meters long, this patio was for about 100 people, 6 of them women. The men could walk over almost the entire yard, but the 6 women could only walk for a space of 6 x 2 meters. Not worth it! In places like that, and they are not free. They are not being helped. In places where the number of over-men passes to women, there is a lot of discrimination, abuse of power, ill-treatment and damage to women’s dignity. They deserve something better. I am sure that God wants something much better for each one of them. 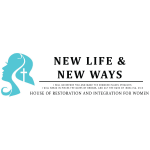 From there is born the vision of New Life and New Ways and this desire to want to be part of what God wants to do and how God wants to manifest in the lives of these women, who have already suffered too much. We are so excited to see the great things that God will do!